You are here: Home / News / Netflix says FU to its long time customer base. Netflix says FU to its long time customer base. Netflix has announced new pricing plans today moving forward. The company is increasing the price of its previous $9.99 a month plan with which subscribers were able to get unlimited streaming and one DVD at a time. Now that same plan is going to cost you 15.98 as they will charge 7.99 for the streaming service and 7.99 for the DVD service. It looks like they are going to cede the hard disc rental business to Redbox and the like and try to become streaming only as much as possible. The net effect on the bottom line is yet to be seen, but if most are like my family who now pay 9.99 and maybe send in my DVD every couple of months as it sits on the shelf while I stream, this may be a net loss for them as I cant see paying 16 bucks to do that so I will be dropping 2 bucks a month off my bill, its easy enough to stop by redbox for the one or two new releases a month I may want to see, and if the streaming selection does not improve soon that 7.99 streaming bill may soon disappear as well, especially if Amazon’s free streaming continues to improve. Netflix Inc. announced today it is launching new unlimited DVD-only plans in the U.S. at their lowest price ever– only $7.99 a month for the 1 DVD out at-a-time plan and $11.99 a month for the 2 DVDs out at-a-time plan. New members can sign up for these plans by going to DVD.netflix.com. Netflix also announced it is separating its unlimited streaming and unlimited DVD plans in the U.S. to better reflect the costs of each and to give members a choice: a streaming-only plan, a DVD-only plan or the option to subscribe to both. With this change, Netflix will no longer be offering unlimited plans that include both streaming and DVDs by mail. The unlimited streaming plan will remain at $7.99 a month. The price for getting both unlimited streaming and unlimited DVDs will be $15.98 a month ($7.99 + $7.99). For new Netflix members, the changes will be effective immediately. For existing members, the new pricing will start for charges on or after September 1. "Netflix members love watching instantly, but we’ve come to recognize there is still a very large continuing demand for DVDs by mail," said Andy Rendich, Netflix Chief Service and Operations Officer. "By better reflecting the underlying costs and offering our lowest prices ever for unlimited DVD, we hope to provide a great value to our current and future DVD-by-mail members." 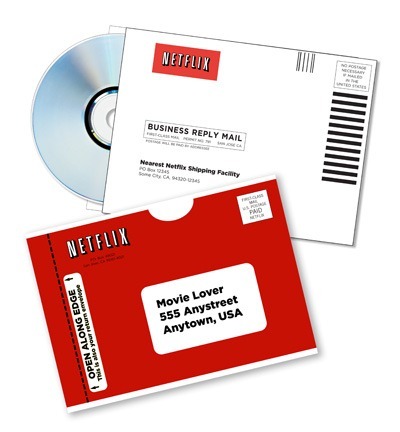 Netflix introduced streaming to its popular DVD-by-mail business in 2007. Since then, membership has climbed from 6 million to 23 million in the U.S. as people have embraced the idea of watching instantly an ever-expanding library of movies and TV shows on the hundreds of consumer electronics devices capable of streaming movies and TV shows from Netflix right to members’ TVs.